Dell swept the PC category for design and innovation awards, taking home two of the five coveted best-in-show Gold awards for the XPS 13 and Alienware Area 51 at Computex 2015 in Taiwan this month. 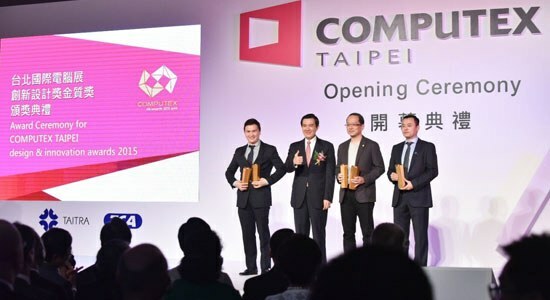 This builds on the industry excitement after winning 50+ awards at CES 2015. The XPS 13 was lauded as “impeccable” by the jury, while the Alienware Area 51 gaming desktop was described as “a perfect marriage of machinery and design.” Ray Wah, vice president, Dell Consumer Product Group, was on stage to accept the Gold awards for the Alienware Area 51and XPS 13 from the President of the Republic of China (Taiwan). Dell was also recognized with a number of other PC category design and innovation awards for Alienware Area 51, XPS 13 and Ultrasharp 34 Curved Monitor. Adding to Dell’s consumer portfolio, we announced a comprehensive new Inspiron lineup designed to meet families’ everyday computing needs with a perfect blend of sleek design, powerful computing and exceptional value. The new portfolio includes the Inspiron 5000 Series laptops, Inspiron 15 7000 Series 2-in-1, Inspiron 15 7000 Series performance notebook, Inspiron 20 and 24 3000 Series All-in-One desktops, and a full line of Inspiron desktops. “The design and build of the Inspiron 15 7000 is unquestionably high quality. The aluminum finish against a matte charcoal case ensures that it looks the part, which is rather refreshing for a laptop costing $550,” said the The Inquirer. 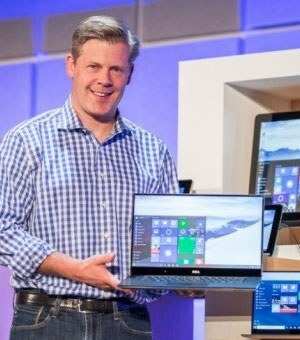 Finally, Microsoft gave the audience a sneak peek at the new, never-before-seen Dell XPS 15 at its Computex keynote. I can tell you it’s the world’s smallest 15-inch laptop, redefines thin and light with a virtually borderless, InfinityEdge screen, and is a preview of what’s to come. We are excited to debut a new lineup of innovative products optimized for Windows 10 later this year. Tell us what excites you about our newest devices and the July 29 launch of Windows 10 in the comments below.